Oh, hai April. Here's hoping you're calmer than March! You know when time just runs away from you, for maybe a day, or a week, or a month? Well, March was that very month. 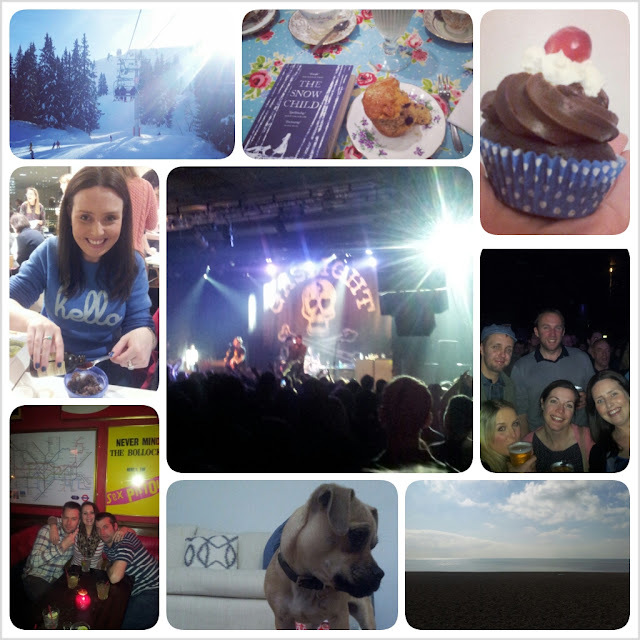 It was a whirlwind of holidays and weekends away and seeing friends and surprise tickets to see bands and visiting people. And a lot of midweek commitments too. It was full of big meals and rich cakes and lots and lots of alcohol. It was also full of some very bad hangovers (thank you everyone who helped make them). All in all, it was a great, great, month. I loved every single moment of it, but now, I need a little time off. So April you are being welcomed with open arms as a month of calm weekends and saying no to midweek events, of healthier eating and less drinking and maybe a little exercise (lets not kid ourselves that I’ll be totally good). A month of focusing on some fun projects that I really want to get done and of not spending so much money. And with the Boyf in India, again, I’m hoping all this might be a little distraction for me too. What are your plans for April? Anything fun?